Independent publishers and replicators, especially in Europe, will be breathing easier at the announcement by the AACS organisation that it has significantly reduced its license fees. 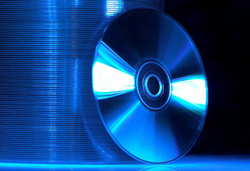 It will cutting the cost of publishing on Blu-ray Discs by up to 75%. The most significant savings are for low volume and first-time publishers. For example, the AACS costs for a first-time Blu-ray Disc publisher, say, for a run of 2,000 titles, has dropped from $4,300 to just $1,000 – a saving of over 75%. For an existing BD publisher, the AACS fees have dropped from $1,300 to $500. “That’s over 60% off the cost of your clients getting their BD content on disc,” says Sonic who broke the news. AACS has made the license fee payable in annual $500 increments instead of requiring $3,000 at the time of signing the Content Provider Agreement, and the agreement can be terminated at anytime. “This one change makes it possible for first-time and low volume content holders to get going with BD with a much lower start-up investment and at affordable per title costs,” comments Sonic.